A G Mourya, retired IPS officer and Makkal Needhi Maiam candidate is contesting from Chennai North parliamentary constituency; rival candidates are DMK’s Dr Kalanidhi Veerasamy and DMDK’s former MLA Alagaapuram R Mohanraj. In a candid interview, A G Mourya, an MCC alumnus and the former Deputy Inspector General of Prisons, says he is confident of winning from the constituency, that had been a hot seat for the DMK for ten consecutive elections before 2014, when the AIADMK won it. How do you feel the transition from being a police officer to a politician? It is the same. I was a police officer, involved in the maintenance of law and order and criminal detection. I have been a proactive person, attending to the needs of the people and studying the root cause of crimes, in order to reduce them. I served people with uniform and now, I do it without it. However, the attitude has been the same. What traits of yours could help you connect to the public? I am honest and trustworthy. People should believe you will be fair. Apparently, in the eyes of the public, you should look smart. You mean to say you look smart and that helps? I am only adhering to the order of the party. I am also happy to be contesting from Chennai North, as the locality is close to my heart. 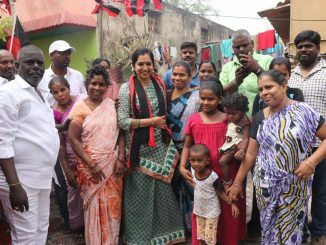 I surveyed 72 slums in the constituency and understood the uniqueness of their problems. During the campaign trail, an old woman touched my head to bless me. It is one of the unforgettable moments I have earned. What are the five items on your agenda with regard to the constituency? The harrowing water scarcity scene remains the same, just like it was 25 years back — citizens still fight for drinking water. It could be due to the old and bad engineering that there is sewage contamination in potable water. Groundwater pollution and air pollution have close connections with public health. Kodungaiyur dumpyard in the constituency is a menace — the solution is to involve technology to convert the waste to manure. We should look at minimising the quantity (of waste) from the source. Promoting rainwater harvesting to replenish groundwater and putting a stop to malnutrition in the economically backward localities are other priorities. Malnutrition affects the physical and mental health of children. Do you feel citizens also identify with the issues that you raise? Citizens know their issues. I explain how I aim to bring transformation. They are in need of a huge change and we satisfy that need. People are dissatisfied when they are neglected. This constituency has been perceived to lag behind in development compared to the rest of the city. How will you change that? The quality of education and health care is poorer than other indicators. I will identify such gaps, study the root cause and work accordingly. Soil erosion on the shore has shrunk the land area, forcing relocation of fisherfolk’s habitat. The state government has erected groynes in many places of the coast, but that restrict space available to the fisherfolk for parking catamarans and boats. A comprehensive study and technological intervention would make things better, in this case. As a parliamentarian, how could you address the fisherfolk issues? That would not be in your purview, would it? The role of a parliamentarian in local administration is limited. But the MPLAD funds can be utilised to create cooperative societies, use technology in fishing and enhance income generation opportunities. I can set up a model that can be adopted by other fishing villages. 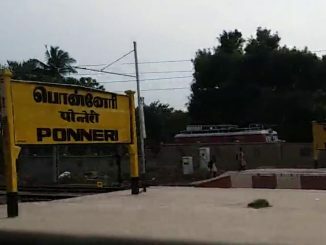 Ennore, in your constituency, has been in the spotlight for its alarming air pollution levels. What is your view? 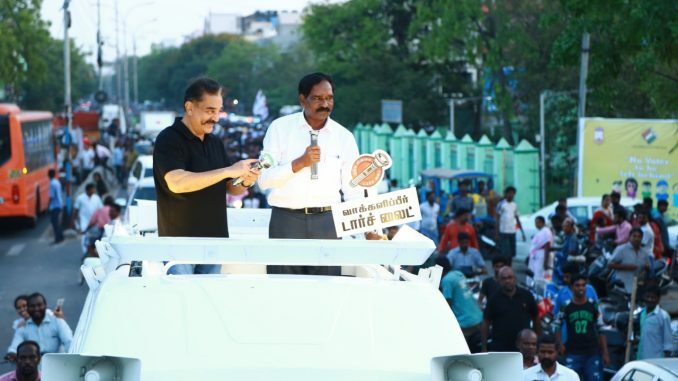 Kamal Haasan has visited the highly polluted Kosasthalaiyar river to understand the gravity of the pollution. He was disturbed at the loss of ecology and the employment opportunities. We won’t think twice before going against the biggies in Ennore to implement the law of the land (on air pollution and release of chemical effluents into the water bodies). Your party has made anti-corruption a key agenda. 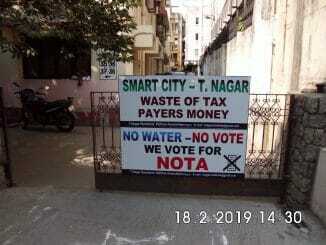 With the wide prevalence of cash for votes in localities such as R K Nagar, what is your strategy? The focus is to not look at the rivals. We (MNM candidates) have been educating people against cash for votes and people are paying heed. We are hopeful that money will not play a role this election. The dedicated team of politicians will bring about a change. Chennai North had been a DMK stronghold for decades, till 2014, when AIADMK’s Venkatesa Babu took over. How do you see your chances of victory? The election scene in Tamil Nadu is changing, especially after the death of leaders such as J Jayalalithaa and M Karunanidhi. Voters put candidates before the parties. People remember me for my work here — I was the Deputy Commissioner and the Assistant Commissioner in North Chennai. I have a good reputation among the plus 45 population. My vote percentage would beat the major political parties.